Our talented and friendly staff is prepared to help turn your South Lake Tahoe Real Estate dreams into reality. To see a full listing of talented REALTORS® please click here. Feel free to search the Lake Tahoe real estate listings on our homepage or by neighborhood and contact us with any questions. 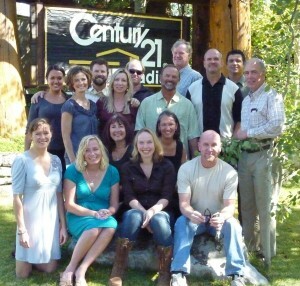 CENTURY 21 at Tahoe Paradise is a licensed Real Estate Brokerage in both California and Nevada. We are here to help you and have the following two offices to serve your South Lake Tahoe Real Estate needs. 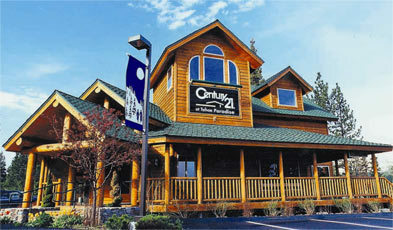 CENTURY 21 at Tahoe Paradise at Stateline in the Raley’s Village Center located between Baja Fresh and Subway. These office locations have been chosen for their high traffic exposure and easy access. There is no other General Real Estate Company with a large staff of REALTORS® at Stateline that is within walking distance of approximately 5,000 hotel rooms and vacation rentals. CENTURY 21 At Tahoe Paradise is a full service Real Estate Company offering our clients assistance with General Real Estate, Property Management including Vacation Rentals and Timeshare resales. Thanks again for stopping by our website. Now you can stay in touch with us on social media. Click here to connect on facebook and to follow us on twitter, simply click here.